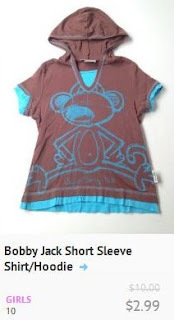 Kid's Clothes from $1.99 at thredUP's Online Consignment Store! UPDATE: For a limited time, new accounts get a $10 credit instead of $5! The credit will appear as a discount when you checkout. Have you heard of thredUP? 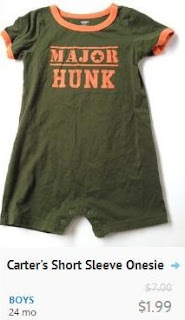 It's an online consignment shop that specializes in selling gently used baby and kid clothes. They have very strict standards with the condition and brands they sell, so you don't need to worry about getting obviously used clothing. I've shopped at thredUP many times and have never had a problem with the item's I've received! If you haven't shopped there before, all new accounts can receive a $5 $10 credit to use on their first purchase! (must use the links in this post to get the credit) You can easily get 2 (or more) items for free since prices start at just $1.99. The site is very easy to navigate using the search options of gender, size, price and more. (I like to sort from lowest to highest price!) You'll find newborn clothes all the way up to size 18! Shipping is free on orders of $40 or more. Otherwise, it's a flat rate of $6.95. (credit can? be used toward shipping!) UPDATE: It appears some people can use it towards shipping, while other can not. Even if you do have to pay shipping, that means you can get at least 4-5 items (depending on what you buy) for $6.95...not bad, imo! NOTE: Make sure you click the "Begin" link at the top of the page to create your account and get your credit, as shown in the screenshot above. Click here to start browsing, and get your $5 $10 credit if you're a new shopper! I love those jumpers, and I can never find them for that price! Thank you!